Many artists create the publicity of most big companies. The artwork creates the majority of the fans and the feel of the company. Most of the creations created afterwards are layered or based off the original and starts to create an on going cycle. 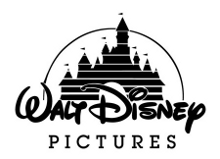 Paul Rand made logos for many companies such as IBM and ABC News Corporation. Paul, the father of graphic design wrote many books about graphic design and worked with many people like Steve Jobs. 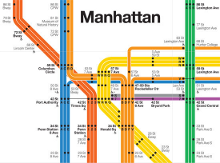 He was considered to be the Swiss Style of graphic design. His views on the role of the design of commercial advertising were emphatic. Paul faced many obstacles that his dad and community members forced on him. His dad believed that art would not bring Paul any wealth. Paul�s dad made him go to Manhattan�s Harren high School and attend night classes, while attending there; he still did not find any interest in finding much stimulation. He later went to a variety of art schools; this was where he taught himself as a designer, learning from European magazines about the works of Cassandre and Moholy-Nagy. 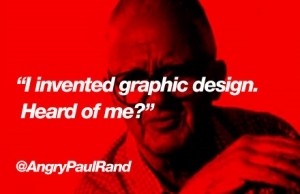 Paul Rand�s early career started well. He worked on humble assignments in a part time position creating stock images for a syndicate that supplied to various newspapers and magazines. Paul was mostly influenced by the German advertising style Sachplakat, as well as the work of Gustav Jensen. Later Paul began working for various other companies, designing corporate logos for IBM, UPS, Enron, Westinghouse, ABC, and Steve Job�s Next. He was a very talented man that was passionate about his work and loved every bit of it.